KTM has finally updated the RC 200 and 250 Duke with ABS. With the latest launch, KTM’s entire range of motorcycles sold in India now come equipped with the soon-to-be-mandatory safety net. The KTM RC 200 ABS is priced at Rs 1.88 lakh (ex-showroom Pune), which is around Rs 9,000 more than the non-ABS version of the bike. 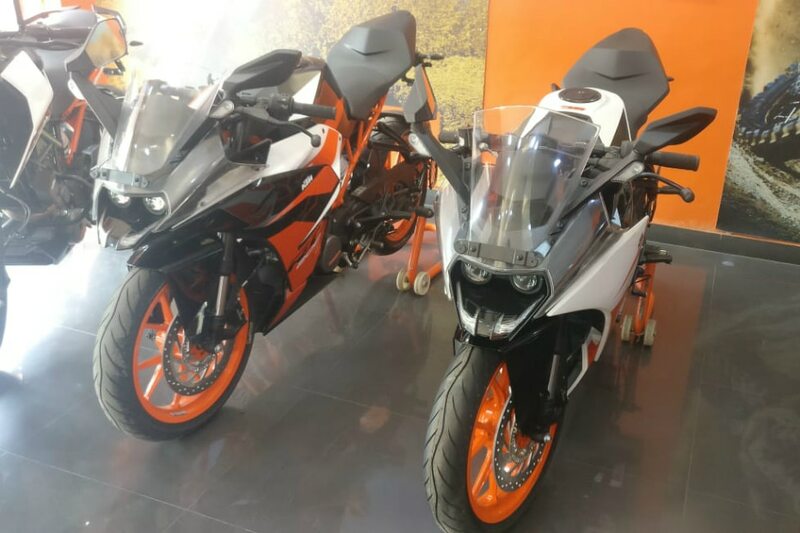 We are yet to get pricing for the new KTM 250 Duke but know for sure that it will get a dual-channel ABS unit unlike the RC 200's single-channel ABS unit. Apart from the inclusion of ABS, both bikes remain mechanically and cosmetically unchanged. The RC 200 and 250 Duke are offered in orange and white colour options. The RC 200’s liquid-cooled single makes 25PS at 10,000rpm and 19Nm of torque at 8000rpm. In comparison, the larger 250 Duke makes 30PS at 9000rpm and 24Nm of torque at 7500rpm. Both bikes get a 6-speed gearbox. The KTM RC 200 gets its bodywork, frame and suspension setup from the RC 390. Interestingly, the KTM 250 Duke is styled similar to the new KTM 390 Duke but misses out on the all-LED headlamp and TFT colour screen. It also features the split frame from the new 390 Duke. Meanwhile, KTM will continue to sell the non-ABS variants of the RC 200 and 250 Duke until stocks last. KTM 390 Adventure – If KTM Were To Offer Two Variants?